Wargaming Forum and Wargamer Forums > Fiction, Art and Roleplay Game Discussion > Cosplay, L.A.R.P & Re-Enactment > Chaos Gods Cosplay! Not really a place for cosplay on these froms.. probably because not many do stuff from Warhammer, but we did at Shuto Con this past weekend as the Chaos Gods! Link is to my deviantART, I was Slaanesh. F*** that, Barrel rolling monolith all the way. Nice. If I had the time, I'd cosplay with a cool costume of someone like Pedro Kantor. 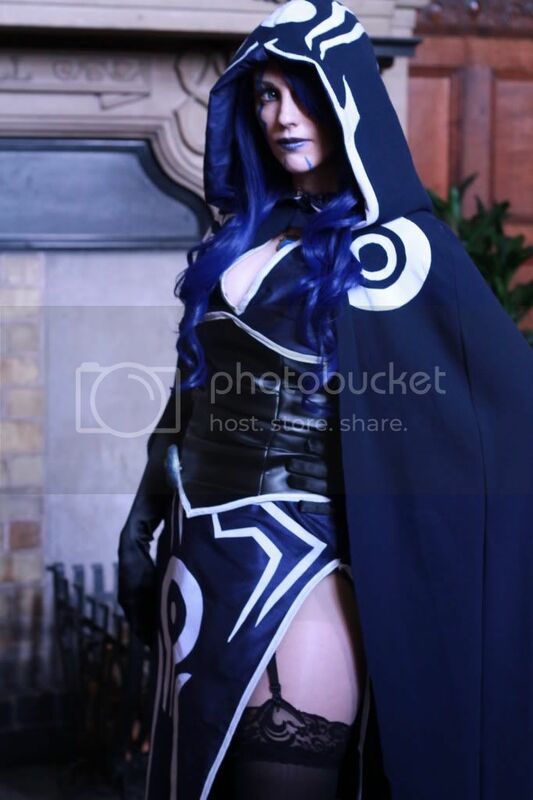 Still, I really like the woman who did the cosplay photos of my avatar from Magic the Gathering. Waiting for this to be moved to Off Topic 'cause that's so gonna happen. Last edited by Jace of Ultramar; 04-11-13 at 03:42 AM. I like it! You've got some really nice flavour and excellent looking weapons. Some professional-level makeup like pustules on Nurgle and blood on Khorne would add a lot as well. Oh my gods, Tzeentch is awesome. Seriously, the rest are not bad at all, but Tzeentch... And Nurgle looks like Grenth from Guild Wars, which is not bad either. And that Manreaper, sweet.